When suddenly caught by a rain shower, the rain Cover slips quickly over your camera and allows you to keep on shooting. 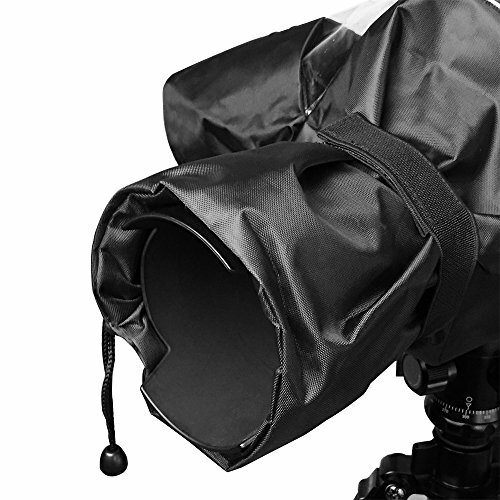 The cover (black) is designed for medium to large SLR cameras. 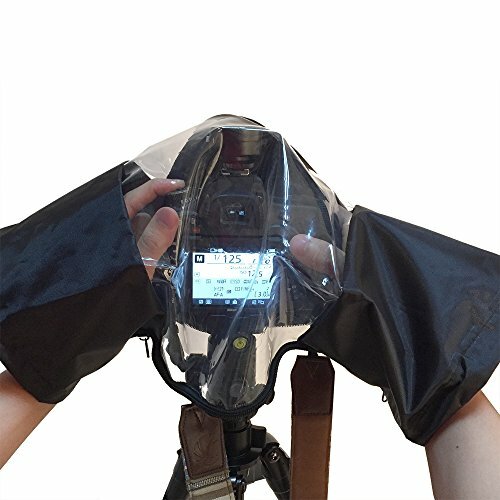 It can be access to all camera and lens controls via two side sleeves and a clear view through the transparent TPU window that enables easy monitoring all the time. 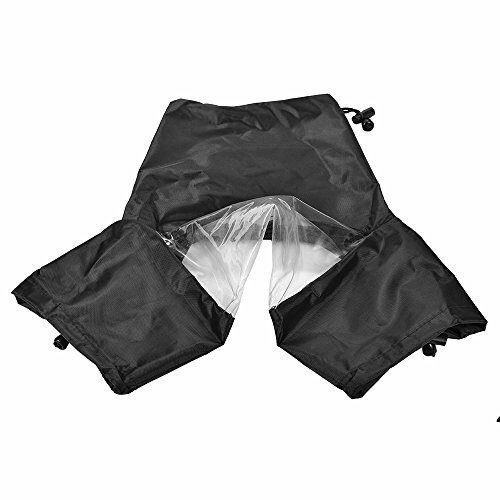 It has a full length double zipper that provides bottom closure when held it by hand or put it on a tripod. The interior adjustable velcro straps help fit your lens to your adjustment. 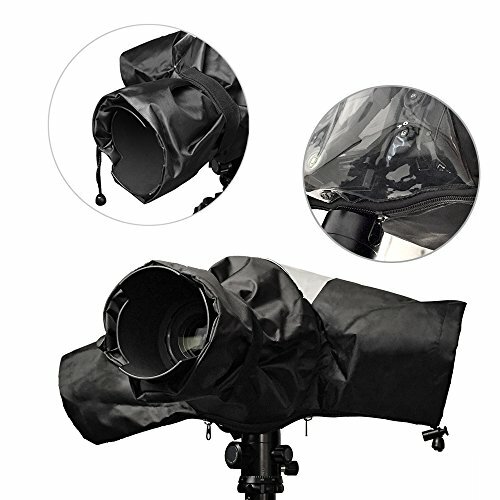 The cover has drawstring arm protectors, room to adjust your arms for better shots.